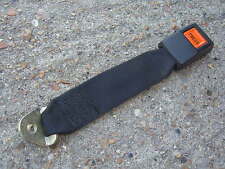 FOR SALE IS A SEATBELT STALK LATCH IN BLACK FROM A MK1 POLO. Part number: 210A. 2-point Securon lap belt (without inertia-locking retractor) for Audi 50 (year of manufacture: 75 to 81) (adjustable). MODEL YEAR FRONT LH & RH LH & RH LAP. Stalk length: 47 cm / belt lenght: 120 cm. Part number: 210B. 2-point Securon lap belt (without inertia-locking retractor) for Audi 50 (year of manufacture: 75 to 81) (adjustable). MODEL YEAR FRONT LH & RH LH & RH LAP. Stalk length: 47 cm / belt lenght: 120 cm. Part number: 210C. 2-point Securon lap belt (without inertia-locking retractor) for Audi 50 (year of manufacture: 75 to 81) (adjustable). MODEL YEAR FRONT LH & RH LH & RH LAP. Stalk length: 47 cm / belt lenght: 120 cm. Part number: 200E. 3-point Securon seat belt (without inertia-locking retractor) for Audi 50 (year of manufacture: 75 to 81) rear (adjustable). MODEL YEAR FRONT LH & RH REAR LH & RH LAP. Stalk length: 47 cm / belt lenght: 217 cm. 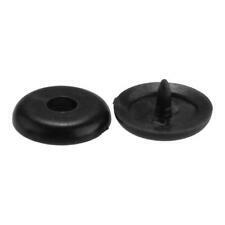 Part number: 210E. 2-point Securon lap belt (without inertia-locking retractor) for Audi 50 (year of manufacture: 75 to 81) (adjustable). MODEL YEAR FRONT LH & RH LH & RH LAP. Stalk length: 47 cm / belt lenght: 120 cm. Part number: 210D. 2-point Securon lap belt (without inertia-locking retractor) for Audi 50 (year of manufacture: 75 to 81) (adjustable). MODEL YEAR FRONT LH & RH LH & RH LAP. Stalk length: 47 cm / belt lenght: 120 cm. Part number: 254A. 3-point Securon seat belt (automatic) for Audi 50 (year of manufacture: 75 to 81) rear (adjustable). MODEL YEAR FRONT LH & RH REAR LH & RH LAP. Stalk length: 32 cm / belt lenght: 208 cm. 3-point Securon seat belt (without inertia-locking retractor) for Audi 50 (year of manufacture: 75 to 81) front (adjustable). MODEL YEAR FRONT LH & RH REAR LH & RH LAP. Stalk length: 30 cm / belt lenght: 217 cm. Part number: 200A. 3-point Securon seat belt (without inertia-locking retractor) for Audi 50 (year of manufacture: 75 to 81) rear (adjustable). MODEL YEAR FRONT LH & RH REAR LH & RH LAP. Stalk length: 47 cm / belt lenght: 217 cm. Part number: 254C. 3-point Securon seat belt (automatic) for Audi 50 (year of manufacture: 75 to 81) rear (adjustable). MODEL YEAR FRONT LH & RH REAR LH & RH LAP. Stalk length: 32 cm / belt lenght: 208 cm. Part number: 254D. 3-point Securon seat belt (automatic) for Audi 50 (year of manufacture: 75 to 81) rear (adjustable). MODEL YEAR FRONT LH & RH REAR LH & RH LAP. Stalk length: 32 cm / belt lenght: 208 cm. 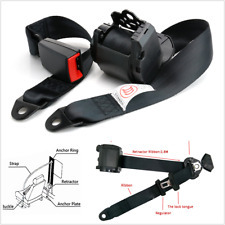 3-point Securon seat belt (automatic) for Audi 50 (year of manufacture: 75 to 81) front (adjustable). MODEL YEAR FRONT LH & RH REAR LH & RH LAP. Stalk length: 30 cm / belt lenght: 297 cm. Complete with fittings. Part number: 254E. 3-point Securon seat belt (automatic) for Audi 50 (year of manufacture: 75 to 81) rear (adjustable). MODEL YEAR FRONT LH & RH REAR LH & RH LAP. Stalk length: 32 cm / belt lenght: 208 cm. Part number: 254B. 3-point Securon seat belt (automatic) for Audi 50 (year of manufacture: 75 to 81) rear (adjustable). MODEL YEAR FRONT LH & RH REAR LH & RH LAP. Stalk length: 32 cm / belt lenght: 208 cm. Part Number 8H0 857 706 A. Audi A4 Cabriolet. Removed from 2004 year Audi A4 convertible, in good working order item just requires a clean. Driver Side Front Seat Belt. Part number: 200D. 3-point Securon seat belt (without inertia-locking retractor) for Audi 50 (year of manufacture: 75 to 81) rear (adjustable). MODEL YEAR FRONT LH & RH REAR LH & RH LAP. Stalk length: 47 cm / belt lenght: 217 cm. Part number: 200B. 3-point Securon seat belt (without inertia-locking retractor) for Audi 50 (year of manufacture: 75 to 81) rear (adjustable). MODEL YEAR FRONT LH & RH REAR LH & RH LAP. Stalk length: 47 cm / belt lenght: 217 cm. MODEL: A4 B7 8ED. MAKE: AUDI. COLOUR: GREY CODE: LX7Z. BODY TYPE: 5 DOOR ESTATE. THAT IS CORRECT PART FOR YOUR CAR! ON THEM IN FORM OF SCRATCHES. TOP QUALITY CAR PARTS. ALWAYS COMPARE PART NUMBER. Instant relief from seat belt tension, allows for more comfortable driving position. Fix clip on top of belt. 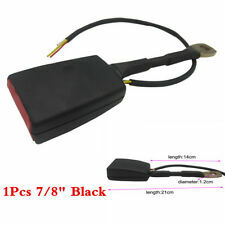 Ideal for trucks, van, cars, power boats etc. Open clip with coin. 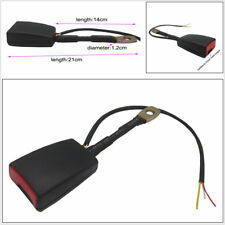 Don't leave the belt too loose, maximum 3 cm, too much length will infulence security. Part number: 200C. 3-point Securon seat belt (without inertia-locking retractor) for Audi 50 (year of manufacture: 75 to 81) rear (adjustable). MODEL YEAR FRONT LH & RH REAR LH & RH LAP. Stalk length: 47 cm / belt lenght: 217 cm. Colored blueAudi A4 Sport Cabriolet 2.4 L(2003). This item would be supplied as pictured. What you see is what you get. You will receive item and everything what you see in the pictures. THIS PART IS GENUINE AND IN GOOD WORKING ORDER. AUDI A4 B6 CONVERTIBLE 1.8T 2002-2005 DRIVER'S SIDE FRONT RIGHT SEAT BELT. MODEL: A4 B6. DOOR, CONVERTIBLE. COLOUR: AMULET RED. All our used parts are in good condition and are tested prior to dispatch. Donor Car: 2004 Audi A4 B6 Cab 2500cc. The New and Used Audi Parts Specialist for all Audi models worldwide. Donor Car Colour: Bodywork is Blue LY5S. Interior trim is Grey N5T/ LF. It may fit others. 2x Silver Car Auto Seat Adjustable Safety Belt Stopper Clip Extender. Instant relief from seat belt tension, allows for more comfortable driving position. Fix clip on top of belt. Ideal for trucks, van, cars, power boats etc. Audi A4 B6 2002-2006 Cabriolet Front Driver Seat Belt. REMOVED FROM 2004 AUDI A4 B6 CABRIOLET. We cannot be held responsible if the item does not fit your vehicle. THIS DOES NOT INCLUDE NI, ROI, HIGHLANDS OR OFFSHORE ISLANDS. Audi A4/S4/Avant/Quattro 8K 2008-2012. Audi RS4 Quattro 8K 2013-2016. Audi Q5 8R 2013-2017. Audi Breakers. FOR YEARS: 2002, 2003, 2004, 2005, 2006, 2007, 2008 (2004). Seat Breakers. All A/C Compressors must have the A/C system flushed to remove any contaminants and the proper oils and Freon to be used.